Diane Foster is a council member of the Taneytown City Council, where she serves as Mayor Pro Tem. She is council liaison to the department of Economic Development. The Carroll Community College Board of Trustees elected Foster as the new board chair at its meeting on June 15, 2016. Foster was vice-chair prior to her election. 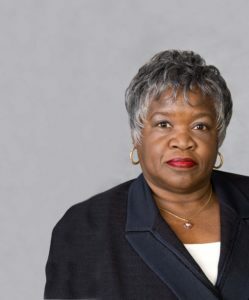 She has served as a member of the board since 2012. I’m happiest sitting in my sunroom at home on a sunny day getting lost in a romance novel with smooth jazz music playing in the background. Surrounded by windows on three sides with a view of magnificent trees. It’s my favorite room in the house. Who are your heroes in real life? No one in particular. I admire strong women and people who try to make a difference in the world for those who are less fortunate. What is your most treasured possession? My most treasured possession is my wedding ring. It is the only thing that I came close to losing and I went into a serious panic attack until it was found. Favorite movie – or book – (right now)? I like to read Nora Roberts’ books and other romance novels – anything that I can loose myself in. I like period movies. Far From the Madding Crowd is a good one. What do you love about city council work? I like the fact that I can sometimes make a positive difference in the lives of the people who live there. Someone will ask a simple thing that you can actually make happen – they’re happy and you feel a sense of accomplishment. On the other hand, it’s a struggle to educate people on the fiscal aspects of the city, but I keep trying. Offer an elevator shout out about Taneytown – from the first floor to the second. What would you tell someone about the city that sets it apart from all others? Taneytown is a small city with a big heart. Neighbors help neighbors in Taneytown and volunteers work tirelessly to make it better by giving of their treasures, time, and talent. Top three challenges (today) linked to your job? Projecting a positive image; working to bring about decorum among council members; and being fiscally responsible while holding taxes and service charges to a minimum. Funniest memory linked to your life as a city council member /mayor pro-tem? The funniest memory linked to my job is being challenged to participate in things such as the Rock Ball as a singing nun (thank goodness); it never came to fruition. Your most rewarding moment linked to city management and/or with the community college’s board of trustees? My most rewarding moment with the City Council was when my fellow council members unanimously elected me as “Mayor Pro Tem.” For the CCC Board of Trustees, there is not one specific moment, but I cherish the growing camaraderie with the board, the President (past and present), the faculty and staff at the college. If you were given a million dollars and asked to give it to Carroll Community College for one or two ventures/initiatives, what would those ventures/initiatives be? I would give half to scholarships and the other half to the new Cyber Security Program. What thrills you the most about small town life? The thing that thrills me most about small town life is how much people care about each other. I recently gave my husband a surprise birthday party. In an effort to keep it secret, I mailed the invitations from my neighbor’s address with my name. The Post Office called me to inform me of the mix up to which I explained. Being a city girl – that impressed me. Most heart-wrenching moment(s) of your career? The most heart wrenching moments have been the outpouring of condolence and support that I have received from others on the loss of my brother in 2013. In 10 years, what do you hope will be your greatest achievement as a leader in Taneytown? I consider it an honor to be both Mayor Pro Tem of Taneytown and Chair of the Board Of Trustees of Carroll Community College. If I can excel at both of these positions, that is fine with me.